What is the name of that prominent peak over there? Have you ever wondered "What is the name of that prominent peak over there?" - find the answer simply by taking a look through the camera of your iPhone. 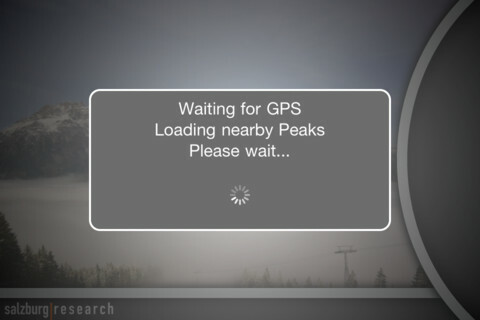 Peak.ar prompts the names and heights of the peaks surrounding you as augmented reality overlay of the camera view. Peak.ar 2.0 improves user experience with a brand new algorithm for adaptive distance selection allowing to prompt all the surrounding peaks on your screen without obstructing the panorama. 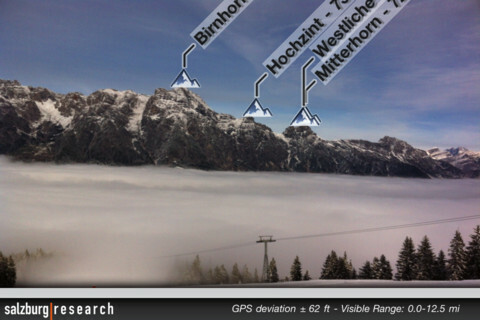 The nearest and most prominent peaks get automatically selected. 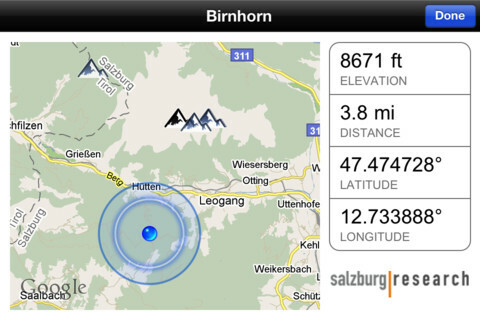 To get the names of more distant peaks simply turn the wheel to the appropriate distance segment. Belle idée, connaître le nom des pics en face de soi. Non encore testé en face d'un panorama, très prochainement.